When doing research for my scholarship book, I discovered one thing each student who earned a Full Ride Scholarship did as a freshman other students didn’t do. Each student introduced himself/herself to the high school counselor who was the resident expert on everything "college" the first week or so of their freshman year. Although it wasn’t difficult for them to do, it surprised me. It shows long term thinking. That’s what impressed the counselors too. Not many new freshmen are thinking about their senior year or beyond. So counselors remember those who do. 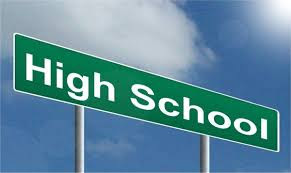 Students could take a little time to find out which high school counselor on their campus is the one other counselors go to when they have questions about college requirements or deadlines. Learn this person’s name and what he/she looks like. It’s not hard; the names are usually listed on the school’s website, often along with photographs. If that’s not available, asking a teacher or upper class student should do the trick. “Hello, Mrs. Cortez, I’m Dylan Johnson, and I plan on going to college when I graduate in four years. I’m hoping you can help me earn lots of scholarship money to pay for it.” Then shake his/her hand. If this doesn’t feel natural to you, come up with your own short introduction. Just be sure to say the counselor’s name, your name, and that you want his or her help to reach your college scholarship goal. You’d be shocked how effective this is. Remember, all the Full Ride Scholarship winning students in my study did something like this the first couple of weeks of their freshman year. After that, they were friendly and remained in contact with this Very Important Person on campus. Try it, what have you got to lose? For more information, you’ll want my new book, Free College Awareness, coming this fall from Griffin Publishing. How to avoid needing college loans; available soon to families of Pre-K through High School students.